Drink drivers are evading justice because of the time taken for Northumbria Police to conduct evidential breath tests after their arrest. It is an offence to drive, attempt to drive or be in charge of a motor vehicle on a road or other public place if the amount of alcohol in a person's body exceeds the prescribed limit (35 μg of alcohol in 100 ml of breath). 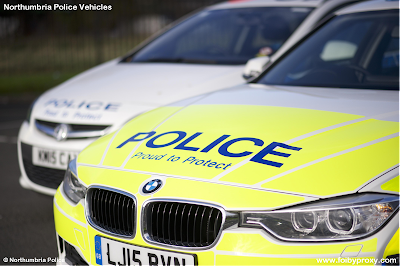 If the police have reason to believe a driver or person in charge of a motor vehicle has been drinking alcohol, they have the right to ask that person to undertake a roadside breath test. If the roadside breath test is positive then the person will be arrested and taken to a police station. At the police station they will be asked to provide two evidential specimens of breath in quick succession. These specimens are blown into and analysed by a Home Office approved breathalyzer machine, which determines the amount of alcohol in each. A person is only charged if the lowest of the two breathalyzer readings is at least 40 μg of alcohol in 100 ml of breath. For the sake of convenience we shall refer to the time period between providing a positive roadside breath test (e.g. arrest) and providing an evidential breath test as the lag time. We have previously heard of suspected drink drivers being arrested in the Berwick area and being transported 65 miles to Middle Engine Lane before providing an evidential specimen of breath for analysis. Such a journey would mean the suspected drink driver benefiting from a lag time of at least 2 hours, all the while the amount of alcohol in their body decreasing. We asked Northumbria Police to provide information about the lag times of those suspected drink drivers released without charge after blowing less than 40 μg on the evidential breathalyzer machine. At the suggestion of Northumbria Police, we narrowed our focus to those suspected drink drivers dealt with at Middle Engine Lane police station. From the information obtained it is clear that lag times in excess of 1 hour are fairly common. For those suspected drink drivers arrested in the west of Northumberland lag times were often closer to 2 hours, which invariably means some are being released without charge despite being over the limit at the time of their arrest. Please now provide that information. I am only interested in information held between 1st January 2017 and the current date. Please provide your response to questions 2, 3 and 4 above in such a way that the time of arrest and time of evidential breath test can be seen for each individual, although in a suitably anonymised format. As it may help your processing of my request, I volunteer that I am seeking to determine if the time lag between arrest and evidential breath test is helping drink drivers avoid prosecution. In accordance with section 10 of the Act, please provide your response in electronic format to the return email address associated with this request. Breathalyzer machines are located at: Berwick, Alnwick, Bedlington, Middle Engine Lane, Forth Banks, Southwick, South Shields, Etal Lane. You can view Northumbria Police's response here. The Ministry of Defence sponsored Cadet Forces stand accused of covering up historic cases of sexual abuse, according to a recent BBC investigation. "BBC Panorama - Cadet Abuse Cover Up" was broadcast on the evening of 4th July 2017. 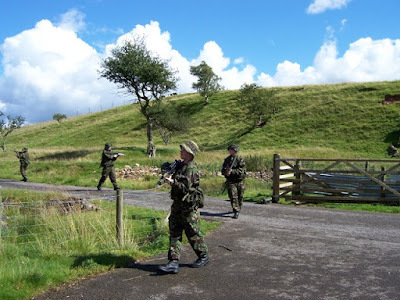 The half-hour programme detailed several allegations of Cadet Force Adult Volunteers (CFAVs) sexually abusing the young people in their care. In several of the cases highlighted by the programme, concerns were raised about the perpetrators of abuse but nothing was done about it by the Chain of Command. According to Freedom of Information requests, in the last five years 363 sexual abuse allegations - both historical and current - have been made by cadet members of the Ministry of Defence sponsored Cadet Forces (the Army Cadet Force, RAF Air Cadets, Sea Cadet Corps and Combined Cadet Force). Of those, 282 cases have been referred to the police and 99 CFAVs have been dismissed. A previous article by FOI By Proxy revealed that in the last five years the Ministry of Defence has paid £730k in compensation to cadet members of the Army Cadet Force making allegations of abuse against CFAVs. We have no information about the amount in compensation paid to cadet members of the other Ministry of Defence sponsored Cadet Forces, but it is likely to be significant. About a month before the Panorama exposé it became apparent that online discussions were taking place about its contents. There was also an increased amount of search engine traffic arriving at our earlier article about compensation payments to Army Cadet Force cadets. Having viewed these online discussions it was apparent that the Ministry of Defence had gone into defensive PR mode in anticipation of the damning revelations of the Panorama programme. In particular, the Ministry of Defence had issued instructions to Cadet Force units and serving CFAVs about how to deal with media approaches. With that in mind, we thought it would be interesting to see the information generated by the Ministry of Defence in relation to the Panorama programme. The Ministry of Defence provided a comprehensive response to our request, albeit a little late. "BBC Panorama - Cadet Abuse Cover Up" was broadcast on BBC One at 2245 hrs on Tuesday, 4th July 2017. In the months leading up to the broadcast of that programme, I am led to believe that the MOD, via its Service HQs, issued directions to ACF, CCF, ATC and SCC units about how to deal with media approaches on the subject of sexual abuse. I am also led to believe that Cadet Force Adult Volunteers (CFAVs) were written to on the subject of sexual abuse prior to the broadcast of the Panorama programme. 1. A copy of any correspondence distributed by the MOD (or relevant Service HQs) to ACF, CCF, ATC and SCC units that mentions or relates to the BBC investigation into sexual abuse or the Panorama programme. 2. A copy of any correspondence distributed to CFAVs that mentions or relates to the BBC investigation into sexual abuse or the Panorama programme. Please note that I am only seeking relevant information produced or held by the MOD or its Service HQs. I am not seeking any information produced or held by individual ACF, CCF, ATC or SCC units. The Ministry of Defence provided all of the information requested, apart from a few minor redactions under section 40 of the Freedom of Information Act 2000 (relating to the personal information of identifiable living individuals). The Ministry of Defence exceeding the 20 working day time limit for providing a response or valid refusal notice by two working days. You can view the Ministry of Defence's disclosure documents in this folder.